Brigadeiros (Portuguese for Brigadier), whilst a fairly recent creation, have become a real favourite in Brazil. They are an absolute must for any party, particularly children’s parties, and for celebrations such as weddings. Unlike things that the name might conjure up, brigadeiros are actually sweets, a sort of chocolate truffle, that look like little balls of chocolate covered in chocolate vermicelli or sprinkles. They are usually presented in little paper cups, rather like the yemas in Spain. Politicians are not usually associated with sweet things, but this is actually how brigadeiros came into being. The first brigadeiros were created by the wife of Brigadeiro (brigadier) Eduardo Gomes, who was a candidate in the 1946 presidential election in Brazil. It is said that the Brigadeiro’s wife would prepare sweets made of condensed milk, butter and cocoa powder and give them to those attending election meetings and fundraising events – a sort of early form of merchandising material without the name on them! Gradually, people caught on to the idea of this delicious give-away and would ask for the Brigadeiro’s sweets and soon they became known quite simply as Brigadeiros. Despite the free brigadeiros handed out to would-be supporters, Brigadeiro Gomes lost the election. However, the sweets bearing his name lived on to become the most iconic sweet in Brazil. Many people make brigadeiros at home but they are also sold at most cafés and bakeries all around Brazil. The popular sweet is a chocolate fudge ball made of condensed milk, butter, and cocoa powder. Traditionally the brigadeiros are finished with a coating of chocolate vermicelli (sprinkles), but today there are lots of other possibilities: chopped almonds, toasted and chopped pistachios and desiccated coconut to name but three. Just as Belgium has its special shops selling pralines, Brazil is now witnessing the growth of brigaderias, small artisan shops that make and sell brigadeiros in a wide variety of flavours. There are signs too that brigadeiros are increasingly being found far beyond the borders of Brazil, from Soho Village, New York and Los Angeles to Barcelona. 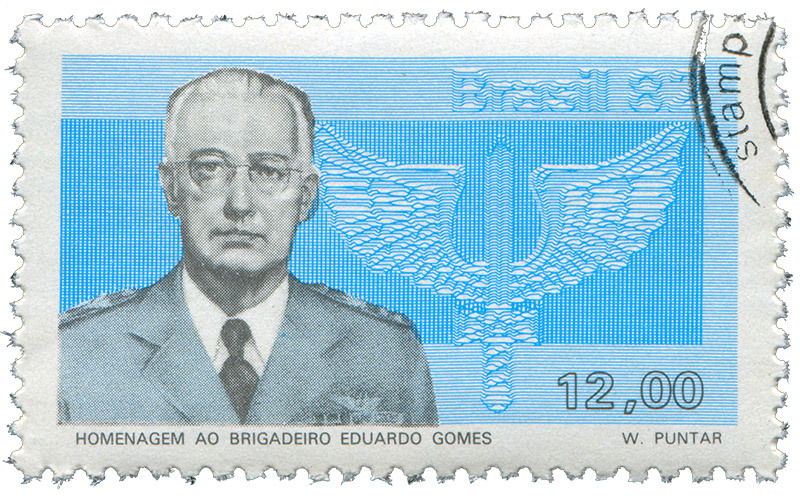 Brigadeiro Gomes must have been disappointed not to have made it to president, but he would have been so proud to see the sweet bearing his name becoming so famous. Mix the Deli Brigadeiro* (at room temperature) and the butter together. Melt the Carat Coverlux Milk* at 30°C and add to the mixture to obtain a smooth cream. Make the Brigadeiro bonbon mixture and pipe onto paper or in a silicone mould. Allow to cool down and roll balls by hand. Roll them into roasted almonds or roasted hazelnuts. Tip: use any decoration to roll the balls in to create variation. Mix all ingredients to a homogenous dough. Laminate to 3 mm, cut discs and make the cups. Bake at 180°C for 12-14 min, damper open. Mix the Deli Brigadeiro* (at room temperature) together with the half-whipped cream and the half-whipped Chantypak* (vegetable cream). Make and bake the short crust cups. After cooling down, spray them with a fifty-fifty mix of Belcolade Noir Selection* (chocolate) and cocoa butter. Pipe a little Topfil Strawberry* (fruit filling) inside and fill with Brigadeiro mousse. Decorate with Carat Coverlux* (Compound chocolate) decorations and fresh strawberries. Deli Brigadeiro is the ideal product to prepare the best and tastiest brigadeiro recipes.